Vietnam is a beautiful country blooming with a captivating landscape, a conserved culture, welcoming people, historical monuments, and many rice terraces. There is so much to see, and you can explore Vietnam without spending much. Its affordability also makes it an ideal tourist destination. Here are ways to enjoy your Vietnam travel without paying much. Anywhere you go, you will find that hostels are cheaper than hotels and Vietnam is not an exception. You can still get private rooms if you are traveling with your significant other or you need some privacy. Although the private rooms might be a bit expensive than a regular place, you will still find it cheaper than a hotel room. Staying in a hostel is also a great way to meet other like-minded explorers. There is no better feeling in a new country like eating the way the locals do. Vietnamese cuisine is one of the healthiest meals in the world, and it is super cheap. In Vietnam, food gets prepared with the five fundamentals flavors which include, sweet, sour, bitter, hot, and salty. The Cuisines Main Components and Some of the Meals You will enjoy. A bowl of Pho for just $1, which is a meal made from thinly sliced meat of your choice (duck, beef, or chicken), fresh veggies, fish sauce, and herbs. Spring rolls $0.24. The ingredients include pork or shrimp, finely chopped carrots and mung beans noodles. Vietnamese cash is confusing due to too many zeros on the notes. Some people in Vietnam are not straightforward, and you might give out a 100000 sign instead of 10000, and they will not let you know. Get smart and look at the notes carefully before paying for anything to avoid getting duped. If you are a traveler seeking captivating nature and historical monuments, Vietnam is the real deal! However, you need to explore it smartly and avoid falling for scams whereby they will tell you to pay for what you shouldn’t. The vendors in Vietnam tend to increase prices for tourists, and it’s advisable to bargain for whatever you buy. You will get surprised to find out that you can even go down to 75% lower than the initially mentioned price. 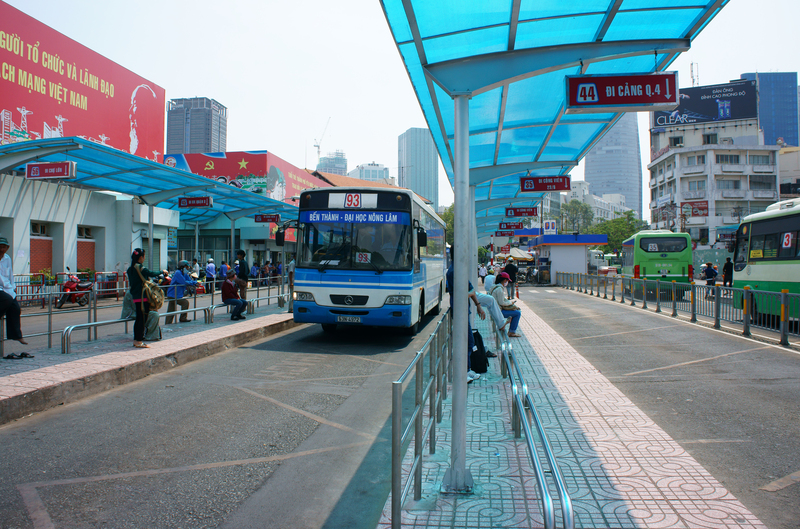 The public transport system includes buses and trains. If you want to go a shorter distance, use the buses which charge $0.3-$0.5, and from one province to the other, use the trains. In Southeast Asia, Vietnam is the most affordable country to visit if you want to travel on a budget. The above insights will help you enjoy your stay and visit various places without spending much implements them!